This updated vintage print gives a nod towards Moroccan inspired decor and is a true statement piece. The Amore Trellis Shaggy Rug Ivory Blue features a classic and on-trend colour combination of ivory and blue. This timeless palette ensures this style won’t date so that this striking design can be enjoyed for years to come. 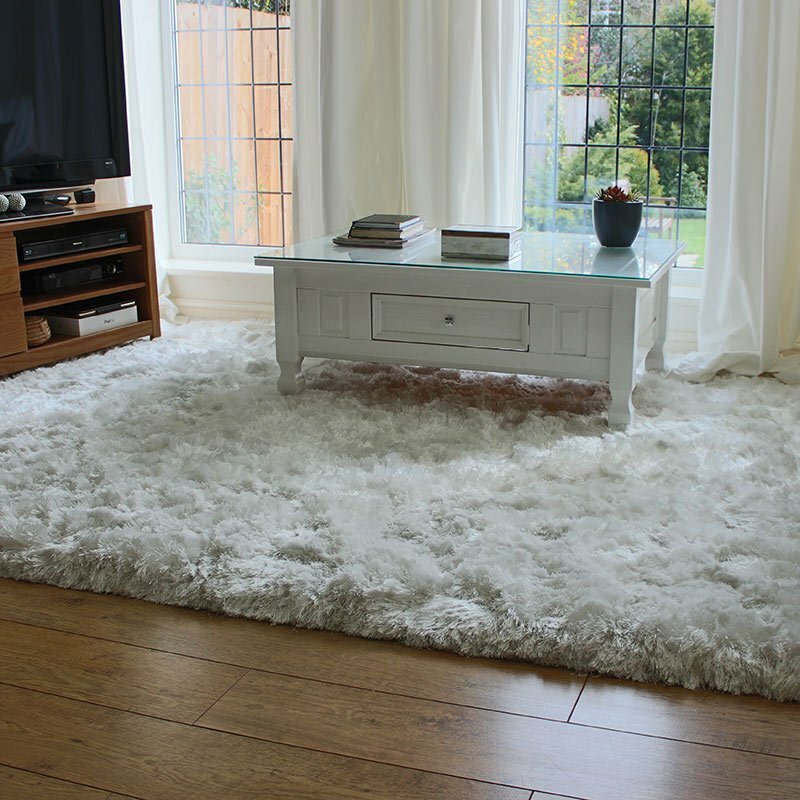 With a relaxed and retro feel, the deep shag pile feels wonderful under the feet, making this a great rug to place under a key piece of furniture, such as the bed or dining table. Warm and inviting, the beautiful texture is irresistible, creating a really cosy feel in your home.